Join us in March to hear from University of Nebraska - Lincoln Chancellor, Ronnie Green! 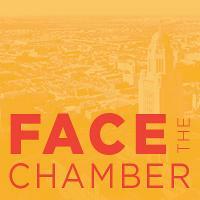 Face the Chamber is a popular luncheon event held seven times annually with speakers addressing a variety of topics including public policy issues and updates on matters affecting business and our quality of life. Featured speakers often include public officials and other prominent members of our community. Admission is $20 ($25 at the door) and includes lunch. Please pre-register to ensure your spot.